When this best-selling Amazon brand was ready to bring their products to physical retailers, they turned to RangeMe for help. 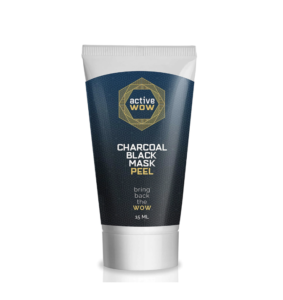 Having gained popularity through social media and on Amazon, natural wellness and beauty brand Active Wow rocketed to online success with its star product, a charcoal teeth whitener that has received rave reviews from happy customers. But when co-founders Cal Chan and William Mcmacken were ready to take the brand to the next level and break into the physical retail space, they weren’t sure where to start. When more traditional routes weren’t panning out, Active Wow turned to RangeMe to gain more visibility and make connections with buyers. Find out how this RangeMe Verified™ brand made the move from online to in-store retail success and scored a deal with Target. When they first launched, Active Wow prioritized their website and online presence—and it certainly paid off. Their charcoal whitening product became a bestseller on Amazon and a social media favorite due to the selfie-quality results of the teeth whitening experience. Scrolling through Instagram and perusing Amazon reviews, it’s clear that customers are indeed wowed by Active Wow’s offering. 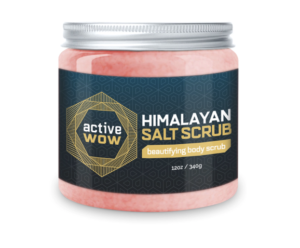 With their popular products and instant brand recognition, Active Wow was poised for growth. Mcmacken had a contact at one brick-and-mortar retailer and was able to get Active Wow on those shelves, but he and Chan were frustrated that they couldn’t get into additional retailers. “We realized there were hundreds of other potential retailers that could be carrying our product, but we had no idea how to get in touch with them to share our brand and story,” Chan says. Without existing retailer connections, Chan had no idea how to expand Active Wow’s in-store placements. Determined to break into the retail space, Active Wow began exploring other avenues to connect with major buyers, which is what led them to RangeMe. “We hadn’t had luck with brokers, so we decided to sign up for RangeMe,” Chan explains. “Because Target reached out to us on RangeMe, we were able to schedule a 30-minute meeting at an upcoming trade show,” Chan explains of Active Wow’s experience with Target. “After a great in-person meeting and some negotiations, they committed to carrying our product.” Active Wow is now carried in 1,350 Target stores. 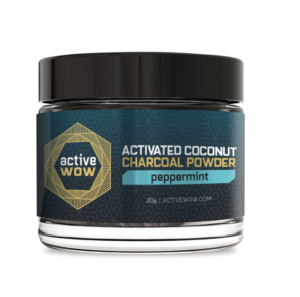 With products now on Target’s shelves, Active Wow has expanded their efforts to connect with retailers in-person via the RangeMe Discovery Hub at ECRM’s Personal Care, Grooming, Oral & Travel/Trial EPPS. These sessions offer them an effective and strategic way to connect face-to-face with key buyers in their category, and they look forward to attending future sessions. To Chan, RangeMe provides the ideal solution to both of these dilemmas: RangeMe helps buyers discover hot products that aren’t on their shelves yet, while helping suppliers make valuable connections to get their products in-store. Chan is confident that with the help of RangeMe, Active Wow will continue wowing retailers and translating their online success to the physical retail space.